Mr. Paul Hatch is a Spanish teacher at Poston Butte High School. He has worked in education for 27 years in several communities throughout Arizona, Texas, and Mexico. He has served as a teacher and administrator in the Florence Unified School District for 7 years. Mr. Hatch genuinely cares for all students. He creatively and energetically develops incentives and strategies to support students who need that extra attention. Mr. Hatch volunteers much of his lunch and afterschool time to serving on committees and providing tutoring. Mr. Hatch is always there to share insight, wisdom, and encouragement to his colleagues. 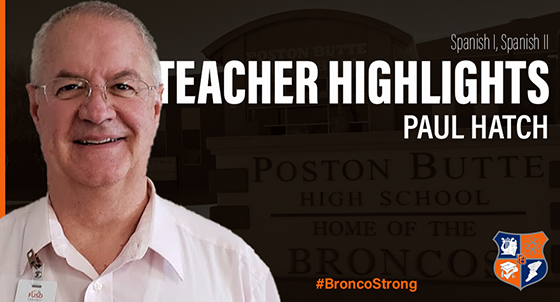 Poston Butte is fortunate to have Mr. Hatch as a Bronco. 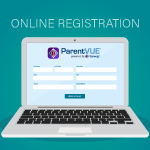 All families returning to the Florence Unified School District in the 2019-2020 school year are now required to re-register their students online through ParentVUE using the “registration” tab on our website: https://az-fusd1-psv.edupoint.com. After logging into ParentVUE/Registration, you must verify current information and update any new information (address, emergency contacts, phone numbers, etc..) making sure you see the “complete” button for each student. If you do not complete the online re-registration, your student WILL NOT be registered for the new school year. Additionally, we must confirm proof of residence with all returning and new students. 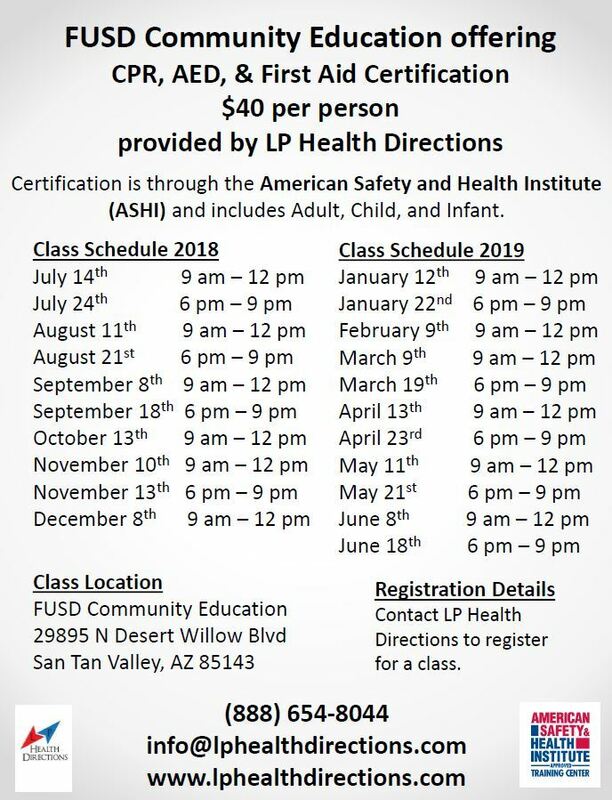 Re-registration must be completed by Wednesday, May 15, 2019. 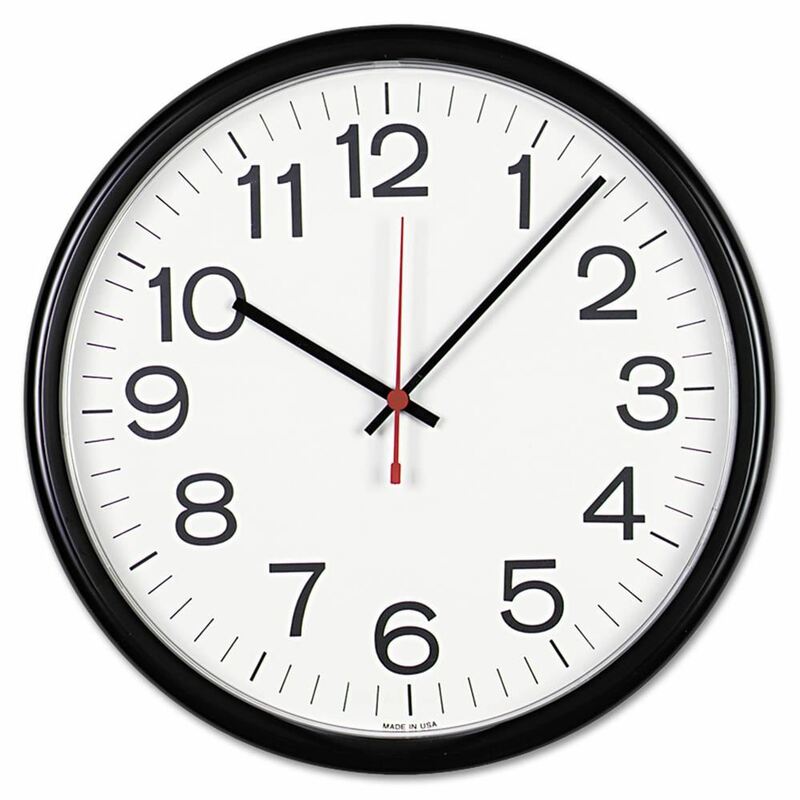 Reminder: If your student presently attends their FUSD school on a boundary variance you must re-apply for a boundary exception for the 2019-2020 school year by CLICKING HERE. If it is approved you can then fill out the re-registration. Additionally, if your boundary exception is approved, you will also be required to sign the boundary contract. Please take a few moments to re-register today! 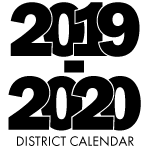 On Tuesday, March 12, 2019, the FUSD Governing Board approved a revised school calendar for the 2019-2020 school year. It allows for Professional Development at the K8 schools via Early Release Days every Wednesday for the K8 schools. To view the updated calendar CLICK HERE. 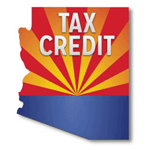 In accordance with Extracurricular Activity (ECA) Tax Credit Statute 43.1089, the Arizona Department of Revenue is now requiring taxpayers to report the school’s County Code, Type Code and District Code & site Number (CTDS) on their Arizona income tax return. In order to comply with this requirement, the attached letter has been prepared so that each site can provide this information when requested. CLICK HERE for more information and to get the code you will need for your tax purposes. 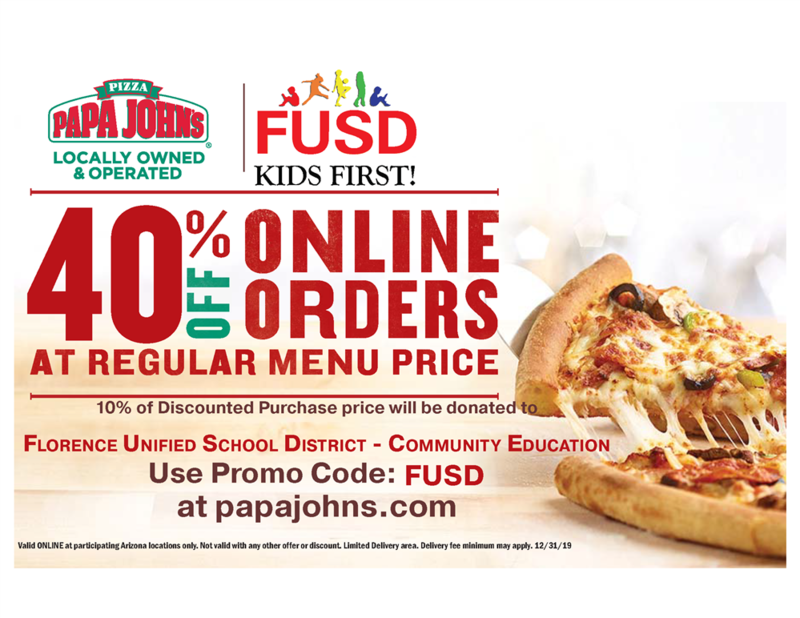 Support FUSD When You Order Papa John's!